This pattern is the perfect art case to make for yourself or the favorite artist in your life. 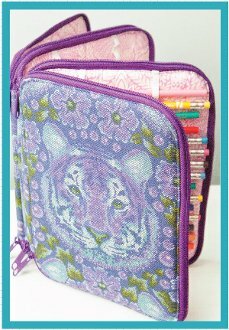 With 3 separate zippered sections, you’ll have more than enough space for a plethora of art supplies, such as pencils, markers, and crayons. 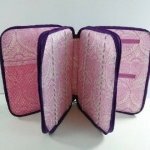 Stitched elastic will hold all the supplies in place, and there are also several pockets for additional storage space.